I have to admit, the question caught me off guard when a friend of mine asked me the other day. 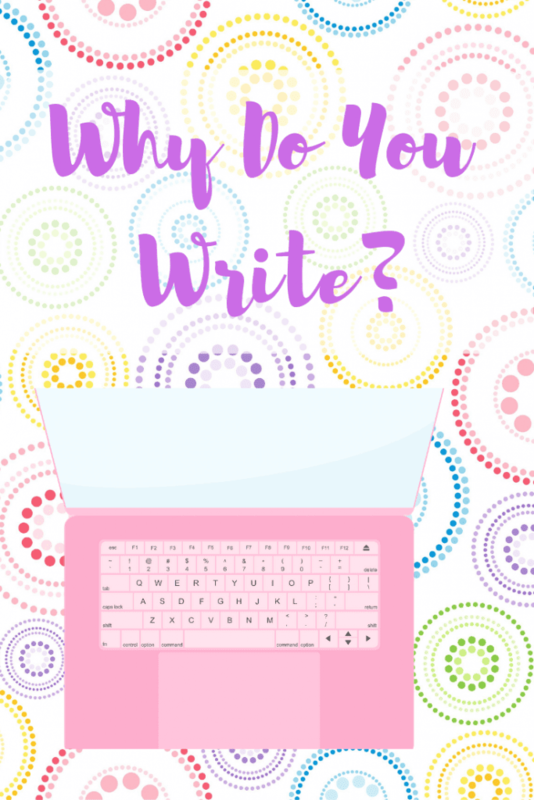 I’m embarrassed to say I’d never thought much about why I write. I’ve never tried to make any money with it. I don’t keep to a particular schedule of any kind. The whole point of starting this blog was to get myself into some sort of consistent writing regimen. I’ve always loved to write. There was never a time when writing wasn’t part of my life, my identity. Still it was never something that needed a reason. It was something I did. Having had the question put to me, I decided to give it some real thought. The first and probably main reason I write is as a means of escape. I have a happy life, great husband, great kids, friends, a home. I pay for it with a miserable, soul killing day job that drains the life force from me and converts it to American dollars which can be used to pay the mortgage or buy food. When I write, some of that life force gets replenished. Things work the way I decide they do in the worlds I create. My protagonist has a problem? Easy. I wrote her into a bind and I can write her back out. Oops! Wrote her right back into an even trickier predicament than the last one. (None of those problems, by the way, involve a particle board cubicle and a job that makes me want to cry into a vodka bottle day after endless day.) If only real life worked that way. The next most compelling reason why I write is as an outlet of creative expression that the aforementioned hellmouth of a job doesn’t provide. Yes it allows my family to live indoors. My day job is a way to take care of my physical needs. Writing takes care of everything else. I am not good with my hands like my carpenter/artist/engineer husband who paints, sculpts in clay, and designs and builds furniture (and drones) in his spare time. I’m not too musically inclined unless you count my daily 6 am shower concerts. I have a brown thumb. Other than having given birth (for which I can only claim half the credit), writing is the only way for me to create something that did not exist in the world before. It’s exciting to me to meet new characters and the places they live, work, dream. It’s surprising when they somehow manage to flesh themselves out, becoming real to me. New characters become old friends who work their way out of the space I’ve created for them and into a life of their own. It’s comforting, exhilarating and helps me to see my own world, with new eyes. How would my world look to this creation of mine? What might we say to one another? I suppose I write for the same reasons millions of people do: because I’ve had to struggle through the day or the year, because I didn’t have anyone but the blank page to talk to about it, because I needed to unburden myself without burdening anyone else. Because I have stories that I need to tell. I write because not writing has never been an option for me. There is no more cathartic process than getting all of the thoughts competing for my attention down on paper where I can see them, make sense of them, discard them if necessary or transform them into something better. I’ve saved a lot of money that would have been spent on a therapist’s couch if I didn’t have writing to help me work through some of the thoughts rolling around upstairs. I doubt I could name all the other reasons why I write or all the benefits I’ve gotten from it. Maybe that’s why I’ve never tried to earn a living from it because it’s my last refuge. I never wanted it to become a chore, an obligation. That having been said, how lovely would it be to have a job that makes me happy, that replenishes instead of drains? This is my challenge for you: think about why you write. What does it do for you? What are your goals? What your life be like if you didn’t write? I would love it if you shared your answers with me in the comments section. I really want to know why you write! I write because it calms my soul. It is a huge stress outlet for myself, a mom of 2 whom I homeschool. Never a dull moment. 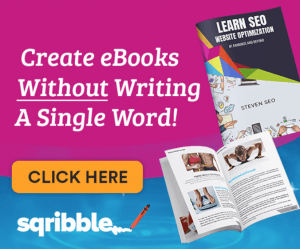 Writing let’s me tell it like it is! Have always loved writing since I was young. Great post! Writing is a major stress reliever. I don’t know what I’d do without it. Well, I’m not much of a story person (I will admit that I do try) but I like to write about the things I can’t just talk about. You may not be writing fiction but don’t kid yourself, you’re still telling stories. True stories are still stories. Writing is a way to express yourself even if no one reads it. I always feel better when I can get an idea down on paper and out of my head. Thank you for causing me to think of the reasons I write and keep writing yourself! I totally agree. I’ve written far more that never makes it onto this site than I’ve put on here. I write because I can’t seem to stop myself. Great post. Like you, I write as a way to get things off of my mind. I’ve written off and on since I was a kid and have always loved it. Great post! It’s always interesting to see what motivates others to write. I love the creativity of it! I do too. Where reading takes me on a journey, when I write I plan the journey. I think the public relations folks at United Airlines like their day jobs better than I like mine, right now! All writing is creative and there is always some measure of world building. When you write about the places you’ve been, you have to build them with words to bring your audience with you. Sometimes I get going and have a hard time stopping. That’s when I have to go back and make it make sense. I write to share information, and sometimes (often) my thoughts about that information. I write because there are things I want to tell people, and I can’t get everyone sitting around my table drinking tea and talking. Writing online gives me a virtual living room to pass on knowledge and hold conversations. 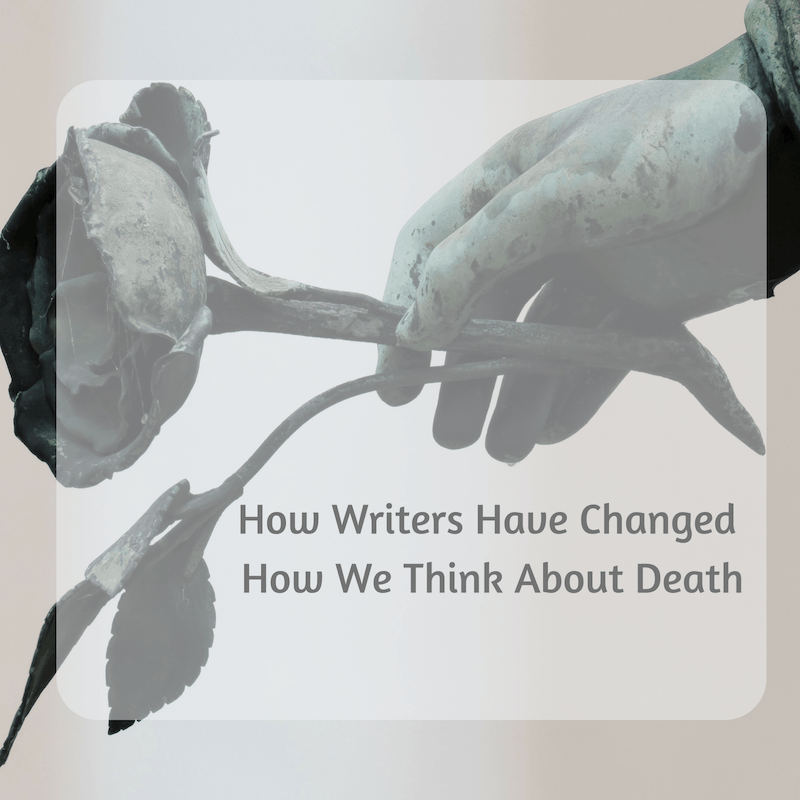 I never thought I would or could write – it was terribly hard when I was young. It has been a shock, over the last years to find that the words flow… and that people tell me that I can make complex information or ideas clear. I’m glad that writing always came easily to me because it’s about the only thing that has and it has helped me out a lot. Self expression keeps me sane. I can relate to this post on so many levels! Writing has always been one of my strengths. I was always a very strong academic writer throughout my years of schooling, but after graduating college I haven’t had a reason to write. It’s one of the big reasons I started my blog! I missed the challenge of putting together a great piece of writing work. Same here. Writing keeps me on track in every aspect of my life. Your blog on positivity is really great and helpful for me. I need some of that! I write because I love to share my stories. Also I love to read. There was so much insight in this post, got me thinking on a lot of aspects. Good read. I’m a reader too. Sometimes I have trouble sticking to a writing schedule because I just need to finish one more chapter!